What would you think of a restaurant where only 10 or 20% of the people ever go back? You’d think that it isn’t a very good restaurant or something must be wrong with the food, right? A good restaurant or successful business makes people want to come back or continue using their service. Most traditional companies like Target, Starbucks, airlines with frequent flyer miles, etc, get most of their business from repeat customers. Their advertising and expenditure is typically based around making these customers happy and encouraging them to come back regularly. Imagine, for a minute, that we own stock in Starbucks and we have to decide whether or not to sell it based on the CEO’s business plan for the next quarter. The business plan he presents is to focus primarily on selling coffee to a bunch of people who don’t currently drink coffee. Obviously I’m not giving stock advice, but we’d probably sell our stock. There are plenty of people who already drink coffee and already enjoy Starbucks. Coming up with ways to hold onto these customers and bring them back into Starbucks to buy more coffee is a much easier and more effective way to increase revenue. Now let’s turn this around to look at your dental practice. Taking care of the patients who come to you already should be your first priority. Getting these patients to keep coming back for recall—so you can maintain their oral health and find and fix issues as they arise—should be the main focus of your practice. If patients aren’t coming back for their hygiene visits/checkups, then you need to treat it as a customer service issue—with either your admin staff or hygiene area. 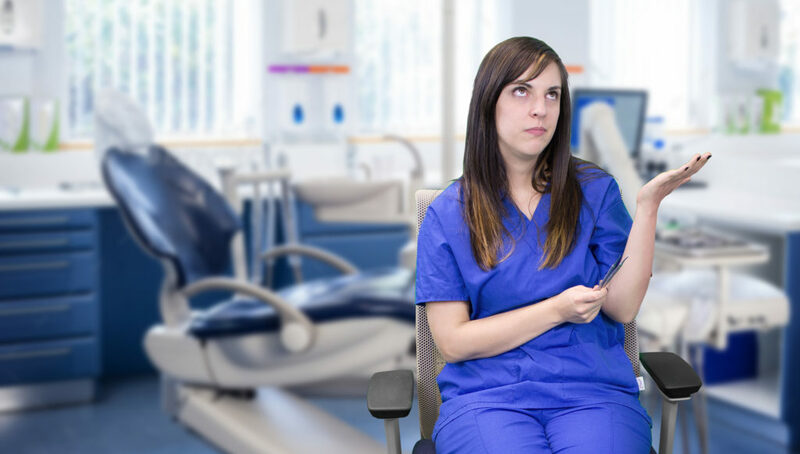 Now, if the percentage of patients keeping their hygiene schedule in your office doesn’t match up well…don’t blame your area or the type of patients you see. That’s not the real problem. Somewhere the dental experience in your office is breaking down. This may be news to you, because you might not have heard any complaints from patients. You know that your clinical work is good and you might not have gotten any poor feedback at all regarding the staff or office… but something is still going wrong. Most people, when they go eat at a restaurant and the food and service isn’t up to par, they don’t go find the manager to complain or make a scene…they simply don’t come back. It’s no different with a patient that’s not coming back. And I know that a restaurant is not the same as a dental practice. But I’m telling you that this issue is the same. When people don’t come back, there is something missing from the service. It all starts with having a friendly attitude and being attentive to the patient, in both the front office and in the back office. 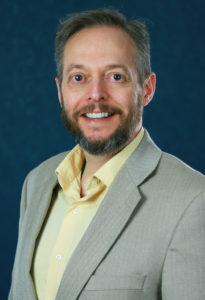 This is a general customer service matter, which I cover more in depth in my article How to Create First-Class Customer Service in a Dental Office. This is really a matter of caring about the patient and taking personal responsibility for helping them get healthy. I’ve seen many offices that, as a rule, attempt to call overdue patients three or four times and then deactivate them. But if this was a family member or a close friend, who you really cared about on a personal level, would you just call and leave a message a few times over the course of a year and then forget about them forever? Besides the fact that we don’t recommend ever “deactivating” charts (unless the patient has asked you not to contact them or has moved away or passed away), you should be doing more to remind these patients and follow up with them. Many times, when someone misses an appointment or doesn’t show up for a while, it’s not malicious or because they don’t want to see you anymore–they just need a little more TLC to get scheduled and back into the office. And specifically regarding reactivating overdue patients, I highly recommend using MGE’s Reactivation Program, which can be downloaded here and an MGE consultant can help you implement it, free of charge. Lack of an effective recall system. If you’re experiencing a lot of missed appointments, the problem might be that you don’t have a good recall system. There are many appointment reminder and confirmation services and softwares out there, but regardless of what software you use, you must also have a good system that the front desk can use to ensure patients show up for their appointments. At MGE we’ve found what works best over the years, and we can help you out with it if you contact us at (800) 640-1140 or email me at ChrisM@mgeonline.com. The importance of hygiene isn’t being imparted to the staff and patients. Most patients don’t want to go back to the dentist twice a year. But they need to in order to maintain healthy teeth and gums long-term. So, they need to be reminded of that as often as possible. Everyone in the practice needs to encourage patients to come back for their next cleaning; insist that they get scheduled for it and then follow through with the appointment. This includes the doctor, as well. It absolutely has to be emphasized by every staff member in the practice–but if the doctor isn’t on board then the staff are fighting a losing battle. Never before has there been so much information on the systemic effects of periodontal disease and gingivitis. Just go online and do a search for “periodontal disease, systemic disease, longevity.” There has even been medical research on a connection between perio and pancreatic cancer. I believe it’s time to take recall seriously. And so should your patients! Patients aren’t being acknowledged for the positives. So we’ve already covered how the importance of recall should be stressed, and patients should be reminded of their appointments…but also keep in mind the power of positive reinforcement. Don’t just nag them when they don’t show up! When they do come in (whether it’s for hygiene or a procedure or an emergency visit) really acknowledge them for the fact that they did come in and DID show up! If you want them to come in again in the future, then reward them for coming in now. Make them happy about it, so they feel appreciated and will want to come back. Poor chairside manner by the hygienist. If a patient keeps their hygiene schedule over the course of years, then the person in the practice that they interact with the most is their hygienist—not the doctor, the assistant or the receptionist. They will spend more time with the hygienist than anyone else. So to this degree, your hygienists actually become the main face of the practice to your patients. Now you can see how important it is for hygienists to build good relationships with patients. If they are brusque, rushed or poke the gums too hard…that colors the patients entire view of the practice. And again, the patient most likely won’t go tell the doctor that there’s an issue with the hygienist, they just won’t show up next time. 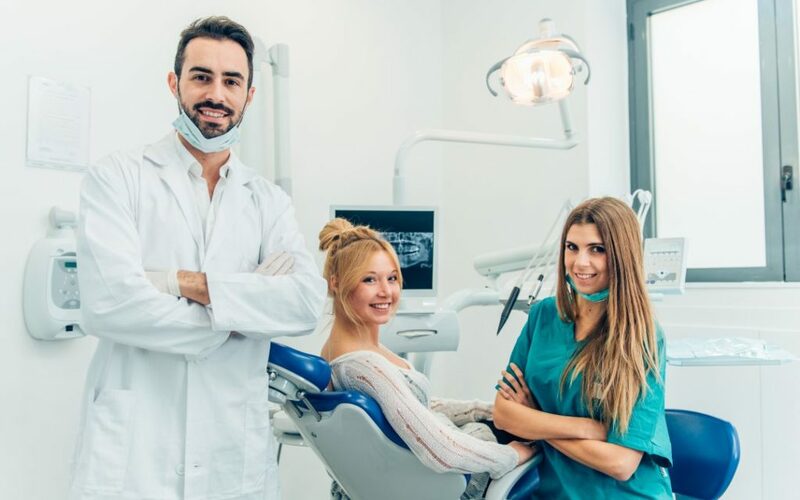 Even if the hygienist is very friendly and normally great with patients, if they are a forced to rush through their appointments constantly, the patient can tell. The same goes for the doctor while doing the exam and presenting treatment. While we don’t want you to spend a long time with hygiene visits, you still need to take enough time to make the patient feel comfortable and understand what’s happening with their mouth. This is particularly important in presenting any treatment that is diagnosed from the exam. After all, this is the reason that a productive hygiene department is such a valuable practice builder for you—it is a source of productive procedures for the doctor. When patients with outstanding treatment come in for hygiene, it gives you another chance to get them to accept the treatment plan, and inevitably some patients will have new issues arise over the years that require treatment. If you don’t take the time to present this treatment and address the patient’s concerns properly, you will miss out on 90% of the value of a hygiene department. The doctor is doing his/her own hygiene. I recommend hiring a hygienist from the very beginning, even if it’s only part-time. It’s just inevitable that there won’t be a strong emphasis on hygiene if the doctor has to do it themselves—and patients will tend to only be scheduled for hygiene if they need something else, as well. This means that you won’t be servicing a large segment of your patient base and you’ll miss disease and dental issues that you would have caught if these patients were being seen regularly. So bite the bullet and hire a hygienist. Make it profitable so you don’t have to worry about the payroll. If you don’t know how to do this, give us a call at (800) 640-1140 for immediate help or attend our free seminar, The Profitable Hygiene Seminar, when we come to a location near you. Participating in insurance plans that don’t pay well for hygiene. I touched on this briefly in one of the points above, but the real value of hygiene is not in the hygiene fees themselves—it’s in the valuable doctor production that is found during hygiene visits/exams. I explain this more in depth in another article, Translating Hygiene into Valuable Doctor Production. The point I want to make here is that even if you’re not making a ton of money on the hygiene visits themselves, it’s still more than worthwhile to build a productive hygiene department. Ideally you should make some profit on it—and you absolutely can—but at the very least you should be breaking even on the hygiene itself. If you would be losing money on hygiene due to the insurance plan you’re participating in, you might have the reevaluate whether or not you should continue participating in that plan in the future. It is probably not a recipe for success. Again, we can help if you’d like to transition out of these plans and become more fee-for-service. Give us a call anytime at (800) 640-1140. I think these points above should help you grow your hygiene department. And if you want to learn the full blueprint for a profitable hygiene department, give us a call or attend our free Profitable Hygiene Seminar.